You’ve set up your resource calendars, and now you have a couple people outside your company domain that also need to schedule rooms in your office. Avoiding outside collisions with a shared calendar is just a matter of setting a few permissions. 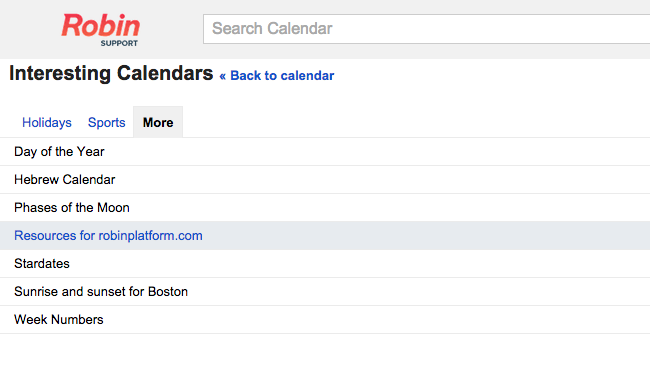 FYI: This method works best for people using Google Calendar. If the person you’re sharing with is using Outlook (or another calendar system) they’ll have a different experience and may not be able to do everything described here. 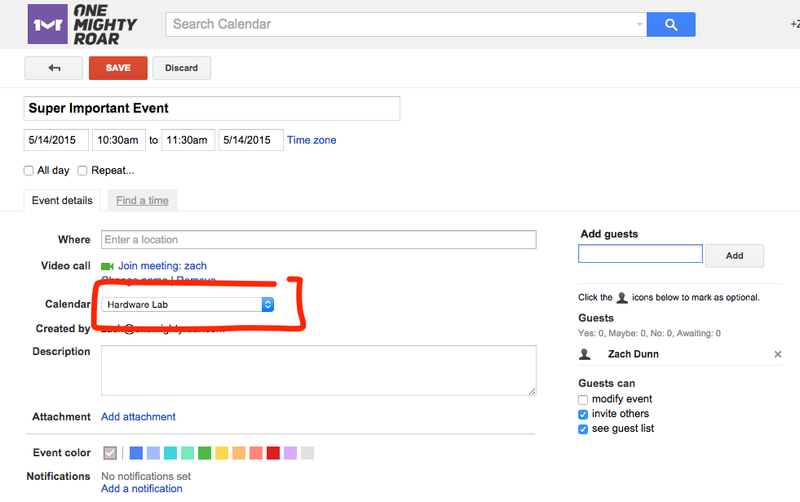 This guide will help you share room calendars with people outside your company’s Google Apps account. It should take a couple minutes to complete. 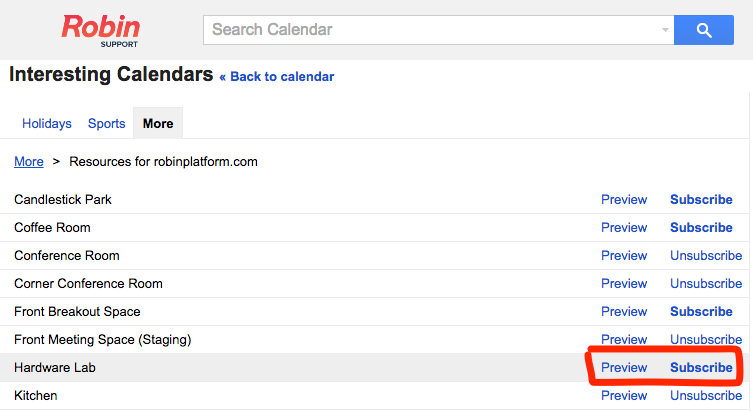 From an account that has permission to manage calendar sharing, visit your Google Calendar page. In the left sidebar select “Browse Interesting Calendars” from the “Other Calendars” section. Click subscribe next the resource calendars you want to share. This will cause them to show up under your “My Calendar” list where you can edit sharing. 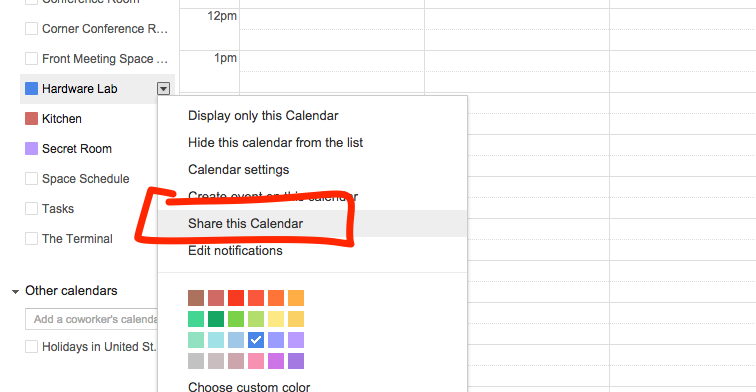 Select “Share this Calendar” from the calendar’s dropdown. If this isn’t available to you, contact your domain administrator to give you the right (ha, puns) permission. When you press save, everyone you added will receive a notification and see the calendar show up under their “My Calendar” list in the sidebar. Any events they book to that calendar will automatically show up on your company’s resource calendar. People in your organization will continue to book the room’s resource as usual through the “Rooms, etc” tab on event creation screen. People outside your organization will book the room using the shared calendar, which appears under their regular calendar dropdown. They will not see it under “Rooms, etc” and will need to invite themselves to the meeting in order to have it on their personal calendar, too. 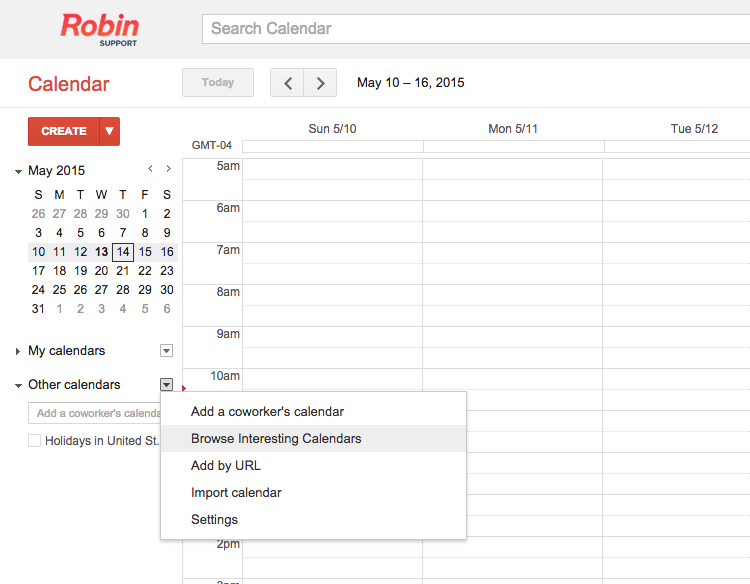 If you’re scheduling using Robin, both groups can also book directly through the web dashboard or mobile apps.